DMAA or 1,3 dimethylamylamine is a central nervous system stimulant that is commonly found in concentrated pre-workouts and fat burners. The Australian Therapeutic Goods Australia (TGA) has banned DMAA since August 2012. There are DMAA alternatives that trainers can use that are safe, legal and potent. These include Teacrine, Dynamine and Higenamine HCL. Other alternatives include stimulants like caffeine, phenylethylamine (PES) and other ingredients listed in this article. Since 2006, DMAA (1,3 dimethylamylamine) fought its way up the list of ingredients to become one of the most popular ingredients included in bodybuilding and sports supplements. DMAA is an effective central nervous system stimulant, and as such, it was commonly included in concentrated pre workout supplements and fat burners However, its success was short lived before it was banned by many countries including the USA, New Zealand, Canada, and since August 2012, the Australian TGA has also prohibited the sale of DMAA products in Australia. The reason for this ban as stated by the TGA is that DMAA may be abused by certain individuals, resulting in adverse health effects (TGA, 2012). DMAA being banned in Australia was bad news for the large following of DMAA fans, many of whom have sworn by the efficacy of the compound in boosting their training intensity and weight loss. But fret not, alternatives are already available and it is highly likely that novel alternatives are being developed right this moment. At the time of writing this article, major supplement manufacturers are developing new ingredients to take the place of DMAA. It is of course impossible to speculate exactly what's been developed at this moment, since it some companies keep this a closely guarded secret. However looking at existing DMAA-free supplements, we can make some suggestions about good alternatives to DMAA. Caffeine is the most obvious alternative to DMAA. It is the gold standard for stimulants and ergogenic ingredients used in pre workout supplements. 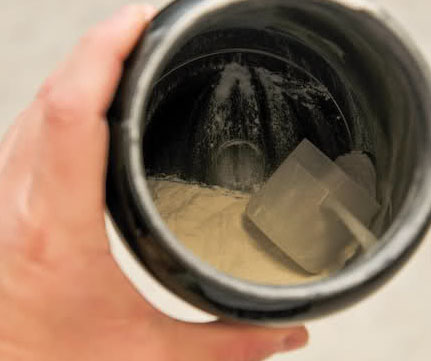 Pretty much every stimulant based pre workout contains caffeine in one form or another, and there's good reason for this. Caffeine is an extremely well-studied ingredient that has strong scientific backing for its use in sport and bodybuilding. There is evidence to suggest that caffeine has benefits for mental performance, endurance, strength, recovery, and fat loss. All of which has been outlined in detail in our "Caffeine" article. Stimulants can come and go over time, but in this writer's opinion, caffeine is not going anywhere anytime soon. Citrus aurantium or 'bitter orange" contains many active ingredients, one of which is synephrine. When ingested, it exhibits a stimulatory effect similar to adrenalin, causing an increase in heart rate and blood pressure (Bui et al, 2006). Citrus aurantium is already being used as a possible replacement for the banned substance ephedra. However, it may also be filling the shoes of DMAA. Citrus aurantium is already used in many pre workout supplements, concentrated pre workout supplements, as well as fat burners. Combining this with caffeine may make a potent combination, and may be the new "must have" ingredient. Phenylethylamine (PEA) is a neurotransmitter also with stimulating effects. It has amphetamine-like effects in its ability to cause the release of noradrenalin (Parker & Cubeddu, 1988) and dopamine (Paterson, 1993). Noradrenalin is a potent stimulating hormone that increases heart rate and blood pressure. Unfortunately, without the aid of prescription drugs, phenylethylamine is rapidly broken down in the body, and its effects are short lived. Hordenine is another naturally occurring stimulant found in barley and Citrus aurantium. Much like PEA, hordenine has the ability to increase noradrenalin levels after ingestion (Bloomer et al, 2009). However, unlike PEA, its effects are much longer lived, reaching a peak at 90 minutes. Methyltyramine, N-methyltyramine, or NMT is another ingredient isolated from barley and other plants, and is already used in a few very popular concentrated pre workout supplements. It has been found to have adrenalin-like effects and results in an increase in blood pressure (Hartung, 1945). At this stage, There are conflicting opinions regarding the use of N-methyltyramine, but it is one of the top contenders expected to be the heir to the DMAA throne. Theobromine is a caffeine-like substance found in cocoa. Theobromine has some properties similar to caffeine, but it does not stimulate the central nervous system to the same extent. However, it is possible that theobromine is an effective vasodilator (Dock et al, 1926), capable of increasing exercise intensity. 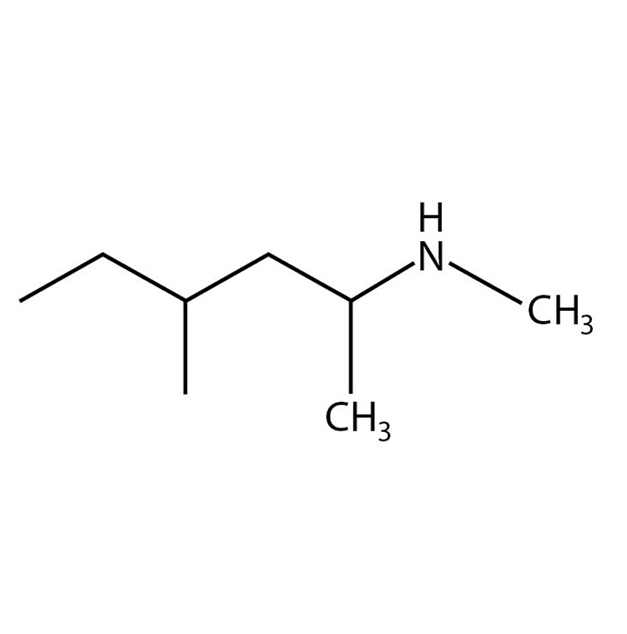 Although methyltyramine is expected to be a likely DMAA replacement, by itself it does not carry the benefits or potency of DMAA. However, when combined with other ingredients including phenylethylamine HCL and methyl synephrine HCL, methyltryamine may work in synergy to producing extraordinary results similar to, and even in excess of DMAA. Be sure to watch for N-methyltyramine based formulations in forth coming concentrated pre workout and fat loss supplements. As you can see, there are many viable DMAA alternatives already currently on the market and in the pipeline. So worry not, keep an eye on this space and stay tuned! Since the writing of this article, there have been more DMAA alternatives which are extremely similar to the banned DMAA. These include Teacrine™ (Theacrine) and Dynamine™ (Methyl Liberine). Theacrine is an alkaloid structurally similar to caffeine and is produced from caffeine in certain plants like Kucha Tea. Teacrine and Dynamine are not only potent and strong but they are legal alternatives. Likewise, Dynamine is also a pure alkaloid that functions to boost energy and focus and is molecularly similar to Teacrine. Both stimulants are now seen as the closest possible alternative to DMAA and have already been popularised in various pre-workouts and fat burners.